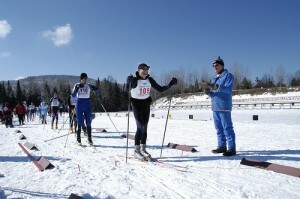 The Empire State Winter Games is the largest multi-sport amateur athletic winter sporting event in North America, featuring tomorrow&apos;s world champions and Olympic gold medalists. The 34th Empire State Winter Games takes place in the Adirondacks from February 6-9, anchored at the Lake Placid Olympic Center at Whiteface Mountain with events held in nearby Saranac Lake, Tupper Lake and Brighton, to name a few of the participating communities. Athletes will compete for gold in 21 different sports, including alpine skiing, bobsled, women&apos;s ice hockey, and ski jumping. Previous Empire State Winter Games have featured Olympic champions like gold and silver medalists Diann Roffe (alpine skiing) and Bill Demong (Nordic combined), gold medalist Gordy Sheer (skeleton), and Andrew Weibrehct, who won bronze in the Super G at the 2010 Vancouver Olympics. Who will be the next athlete from the Empire State Winter Games to capture gold for Team USA? 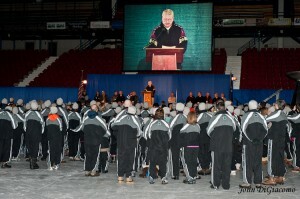 The opening ceremony of the Empire State Winter Games takes place on February 6 in the Olympic Center&apos;s 1980 Rink Herb Brooks Arena in Lake Placid-site of the famous Miracle on Ice at the 1980 Lake Placid Olympics. The event kicks off at 6 pm and is free and open to the public. The highlight of the Games are all the athletes and the events. The Tupper Lake Rink will host the women&apos;s ice hockey competition starting February 7, while you can catch the start of the luge competition at the Olympic Sports Complex on February 8. Catch figure skating competitions all week long at the 1980 Rink, and don&apos;t miss slopestyle, skiercross, and boardercross on Whiteface on February 8. Check out the full schedule here. There&apos;s no fee for spectators, but some of the Olympic venues charge an entry fee. For $25, you can purchase an Olympic Sites Passport that gives you access to the Olympic Center (figure skating), Olympic Jumping Complex (ski jump) and the Olympic Sports Complex (bobsled, luge). Don&apos;t miss the Empire Fun Fest on February 8 featuring barrel jumpers, fireworks, and a huge bonfire. 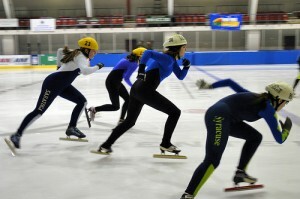 Join us at the Olympic Speed Skating Oval from 5-7pm to participate in activities like paintball biathlon, curling, and cross-country skiing, or try cool sports like sled hockey. Celebrate the Sochi Games by watching the events on a giant screen near Mid&apos;s Park on Main Street and enjoy everything there is to see and do in Lake Placid. Compete in the Winter Challenge and try your hand at events like bobsled, skeleton, alpine racing and more to win cool prizes like lift tickets, t-shirts, and pins. Less than 10 miles from the heart of the Empire State Winter Games is Saranac Lake and the world-famous Saranac Lake Winter Carnival, named one of the best winter carnivals in the world by National Geographic Traveler magazine. 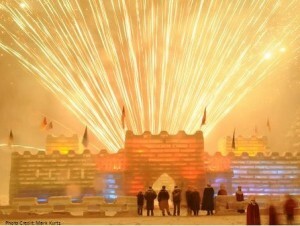 From January 31 to February 9, check out the amazing ice palace, awe at gigantic fireworks displays, dance to great music and have the time of your life. Need help finding out where to stay or what to do while attending the Empire State Winter Games? 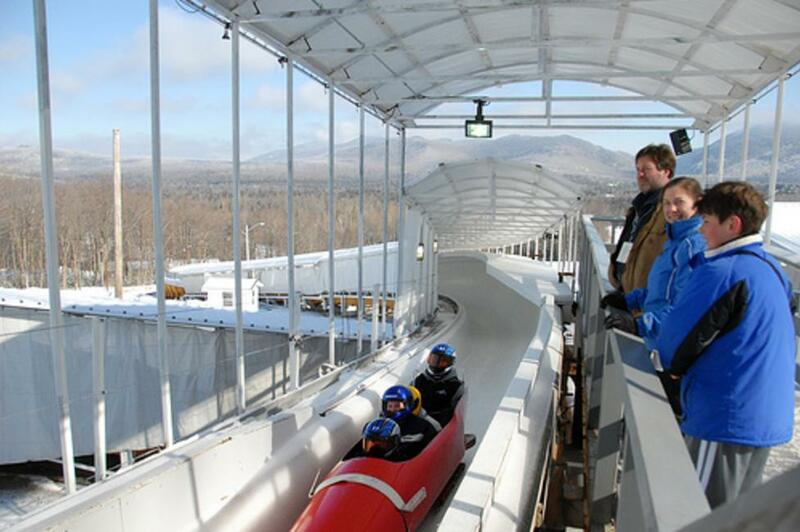 Visit LakePlacid.com for lodging, restaurants and local events for you and your family.